Rohit Dugar is a humble man. So when he opened a bottle of Tàisuì and offhandedly said, "There’s almost no beer like this in the world," he wasn’t bragging about his creation. He was merely stating a fact. Dugar passed a few glasses of Tàisuì around the table. A couple of beer geeks sniffed it, then sipped. It was something new. Moments later, one said, "It smells like fu yu, yeah!" He was referring to a type of fermented tofu that is pungent and salty, often used as a seasoning in Chinese dishes. A few seconds later he followed up to say, "It’s a sharp drink. You try it and you’re like, 'Wow, what is that?'" Tàisuì is a little dry, a little sour, with a little bit of funk. The beer geeks’ conversation veered away from chit-chat and they dug through the table’s collective gustatory vocabulary in search of the right words to describe what they just drank. Haam yu, salted fish? Not quite. Tàisuì isn’t a lambic, but it’s something imagined in that direction—cloudy, sour, with a thick mouthfeel. Drawing inspiration from spontaneous fermentation involving wild yeasts, Dugar and his crew at Young Master Ales, a craft brewery located on Aberdeen Island in southwest Hong Kong, utilized a sourdough starter that a local baker has been cultivating for years. Per Dugar, "This is a beer we only partially had a target flavor profile in mind. We used some rye because we were inspired by the idea of rye sourdough bread, and we fermented directly in a whisky barrel instead of in a steel vessel like we would normally do, so there’s a lot of barrel flavor. It’s a very wild and extreme way of fermenting, but that’s what we wanted to achieve." It was a gamble. "With this, it was about letting those organisms express themselves," Dugar explains. "It’s very rare to achieve two very divergent objectives in good beer—one is that it should appeal to real beer geeks and beer nerds, at the same time it’s so pleasing and can appeal to anybody." Dugar is one of a handful of trailblazers in Hong Kong that gave up a former career to make beer. In 2013, he quit his job at Hong Kong's branch of Goldman Sachs and turned a serious hobby into a small business. Dugar named his brewery Young Master Ales after a 1960s film titled Gong Chong Siu Yeh, which loosely translates to "Young Master of the Factory." Following that theme, he commissioned a logo design that evokes nostalgia for mid-century Hong Kong. Opening a brewery was an incredibly bold move. Dugar had only resided in Hong Kong for two and a half years after relocating from New York, so finding the right space in the right area to build a professional microbrewery proved especially challenging. Around 2013, the government’s licensing rules were shifting, and enterprising individuals were finally legally permitted to open microbreweries. In the past, only large breweries like San Miguel had existed (and still exist), and at that time laws concerning breweries were strictly written for large-scale businesses. Regulations for microbreweries did not exist. During the transition, navigating Hong Kong's newly minted brewing rules led to some confusion for both government officials and entrepreneurs—where could these microbreweries be located? What were the building codes and health inspection guidelines? Were there restrictions on canning and bottling? Juggling the administrative and creative sides of building a business is part of every startup's growing pains, but Dugar persevered and his diligence paid off. "Two years down the line, everything has changed," states Dugar. "I would say it’s easier for someone to set up a brewery now that there’s a path." Beer from all over the world flows into Hong Kong. Filipino San Miguel’s pilsner style is the bestseller, and is actually manufactured locally. Blue Girl, though originally German, is owned by a Hong Kong-based company, but made in Korea. Pabst Blue Ribbon and Budweiser somehow hold a premium place in the hearts of retailers. The jade green color scheme of Carlsberg and Heineken proliferate ad space, the former proclaiming itself as "probably the best beer in the world." When they peel away from their Bloomberg terminals, high finance types might be happy with the usual suspects—Stella Artois and Hoegaarden—as they ignore carefully curated small-batch finds. Indeed, locals and expats in Hong Kong have watched craft brewing take off overseas and want a piece of the action on their home turf. In the last couple of years, beer enthusiasts have opened home-brewing supply stores and craft beer bars to bring in new foreign flavors. 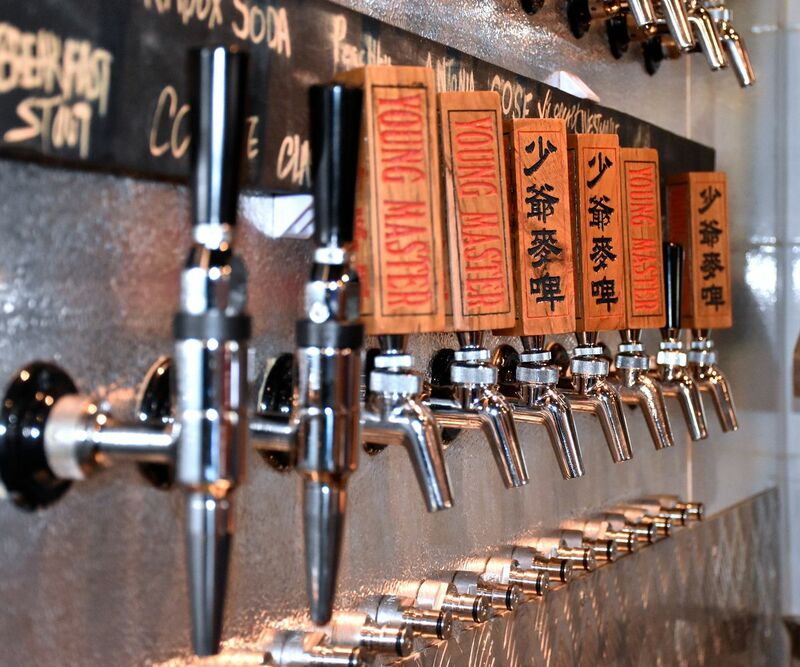 Six months ago, Hong Kong counted only three craft brewers, including Young Master Ales. Today, there are 10. Beer drinkers in Hong Kong are eager to break the Carlsberg Curse—where the same handful of brands are offered in grocery stores and restaurants all over the city—so those with the technical know-how, a little capital, and the willingness to get their hands dirty, are diving into the professional craft brewing game. It isn’t difficult to understand why Hong Kong is a little late in joining the craft beer scene. 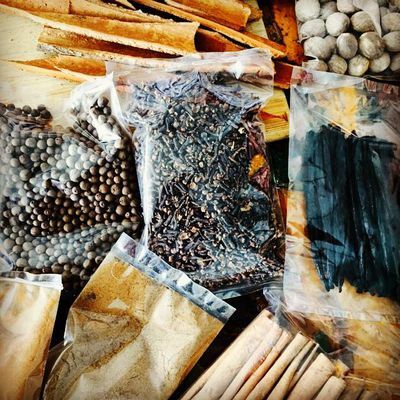 As a successful trading post, it is easy to import and consume anything. With the abolition of a 40 percent tax on wine and beer in 2008, entering the food and beverage industry as an importer or distributor is a much easier, and arguably more lucrative path than setting up a local production facility. Real estate costs in Hong Kong are amongst the highest in the world, so the space to house a brewery requires significant initial investment. As Dugar experienced, governmental regulations can be tricky to navigate, especially when bureaucrats and inspection officers aren't sure of the rules they're expected to enforce. Even with a small-batch product, it’s difficult to face off with the industrial beer giants, which employ an ocean of marketing resources and six sigma supply chains to secure their logos on top of beer taps everywhere. Every front is an uphill battle, so why bother? Beer nuts retort with a single question: With so much good food here, why pair it with pedestrian supermarket brews that have been shipped halfway around the world? Dugar might not be born and raised in Hong Kong, but he and his partners at Young Master have managed to tap into the city’s cultural DNA. Their logo art evokes imagery from Hong Kong’s industrial 1950s; their beer is influenced by Hong Kong cinema and local culinary traditions. 'In the Mood for Spring' is an easy saison, inspired by one of Wong Kar-wai’s films, In the Mood for Love, and is infused with jasmine, chrysanthemum, and osmanthus to birth a refreshing seasonal potpourri. When summer came, so did 'Mo' Mo' Wit,' a Belgian witbier that, instead of sweet orange peel, was flavored with aged Mandarin orange peel called chen pei. Their 'Cha Chan Teng Gose' is brewed with salted lime, which is a key ingredient in the lemon sodas of Hong Kong’s blue collar diners. Employing locally sourced organic buckwheat and a gentle matcha infusion, Young Master created 'Cha Cha Soba Ale,' hitting the city as a matcha dessert craze swept through. Young Master's brewers take the craft even further. Aside from imparting local flavor to their beer, they imbue it with layers of meaning. Consider their Ryeø, a rye wine-styled beer aged in rye whisky barrels for nine months, then conditioned with bourbon yeast for a second fermentation, ultimately doubling down on rye flavor. Right now it carries the flavor of soy, or Marmite, or Vegemite, but it’s the type of thing that could age in a cellar to evolve for years. Aside from being a great, intense drink, Ryeø was also named after Dugar’s son. It was brewed when the boy was born, and released on his first birthday. Tucked in a nondescript industrial estate, Young Master's brewing facility is situated away from the ceaseless hustle and bustle for which the city is known. While its beers aren't available outside of Hong Kong, for those in the city, the brewery holds $20 tours and tastings on most Saturdays. Young Master rarely bottles its limited brews, instead they're sold by growler—around $20 for a two-liter refill. Production here is about 4,000 gallons a month, and new stock sells out within weeks. But, the brewery is expanding, and renovations for a second location are underway. Beyond their current premises, Young Master’s beer can be found in the bars of Hong Kong’s five-star hotels, hot restaurants, and taprooms that started opening within the last few years. Even with no marketing beyond social media posts, Young Master has managed to secure drafts all over the city. Hong Kong’s craft beer scene has experienced remarkable maturity in the past three years, with pioneers like those at Young Master carving out the space for all local brewers to grow, and figure out how to get grain to glass. Maybe the stars aligned. "What’s really good now is that all of these elements—local brewing, imports, home brewing, beer festivals, bars and restaurants changing their mindsets about beer, tap rooms opening—all happened at roughly the same time," says Dugar. "If only a couple of these elements have happened, I’m not sure the craft beer scene in Hong Kong could have grown so much. I guess I’m just lucky that all of this happened at the same time."